Cedrec Planning is the latest addition to our Subscription family, and interprets planning law in the same Plain English way that you've come to expect from us. 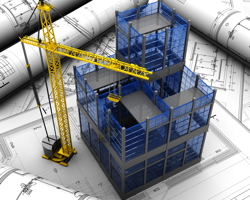 Do you know if your office extension needs planning permission? Not sure of the difference between a scoping opinion and a screening opinion? Do you think EIA is a punk band? Then you need Cedrec Planning! We'll guide you through all the legislation which underpins the planning system in England and Wales, covering areas around development control, applications and appeals, buildings and land and conservation. For that extra level of support we'll link it all together with relevant guidance documents, from the National Planning Policy Framework to Planning Circulars. Over the years, the planning system has undergone a number of alterations. Take the Town and Country Planning Act 1990. All 337 sections and 17 Schedules. It's been amended by around 80 other pieces of legislation. That's over 700 changes to its original text. Cedrec Planning has lovingly made every one of those changes, as well as all changes to all other planning legislation.